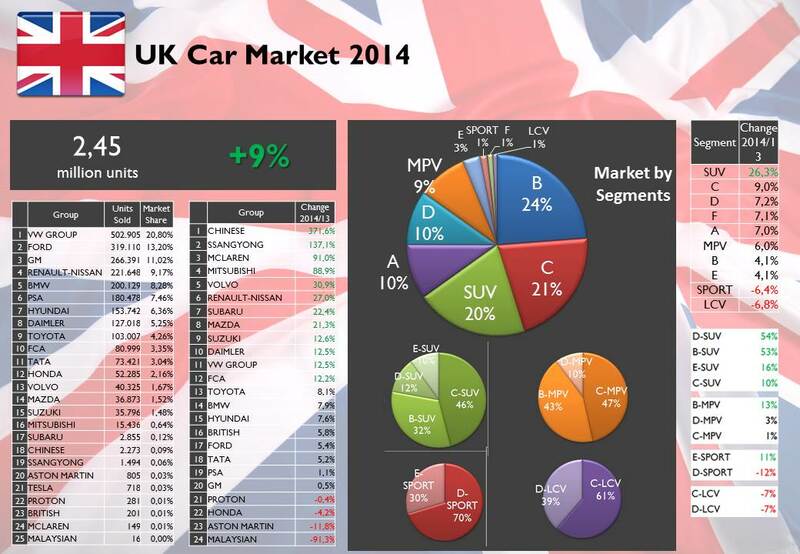 New car sales advanced 9% thanks to an increasing confidence in the economy. 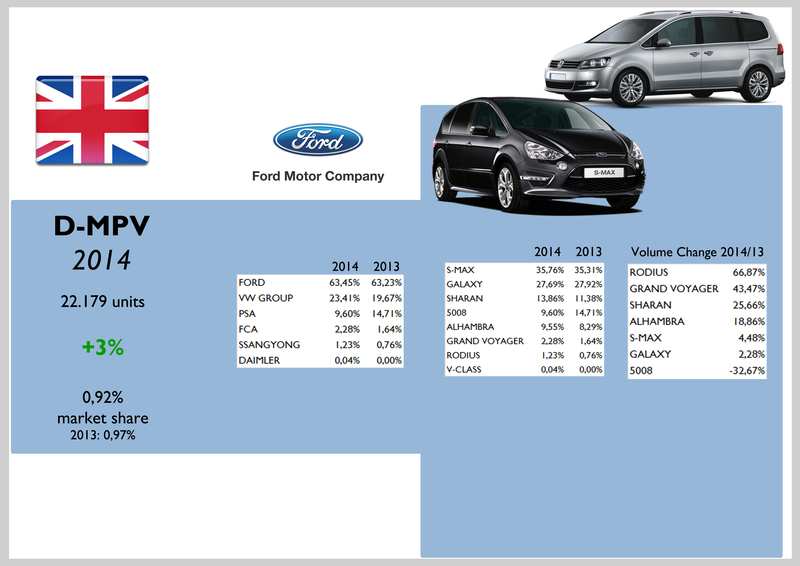 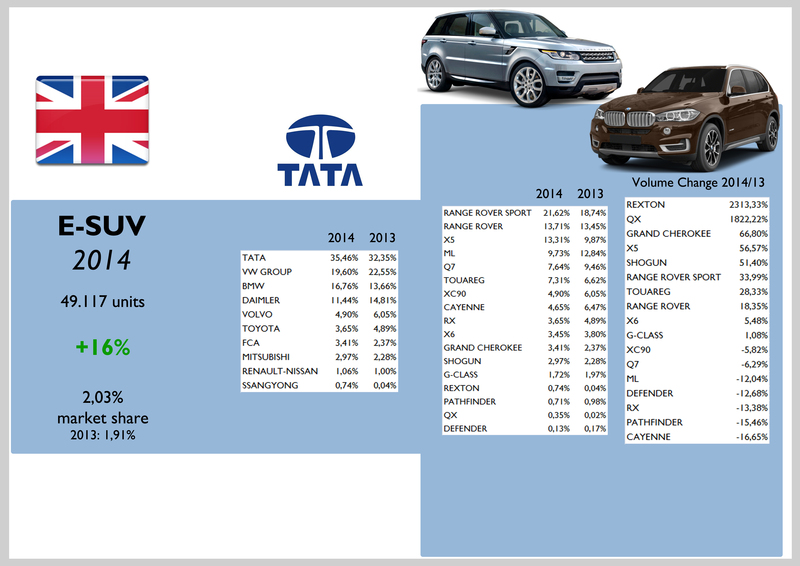 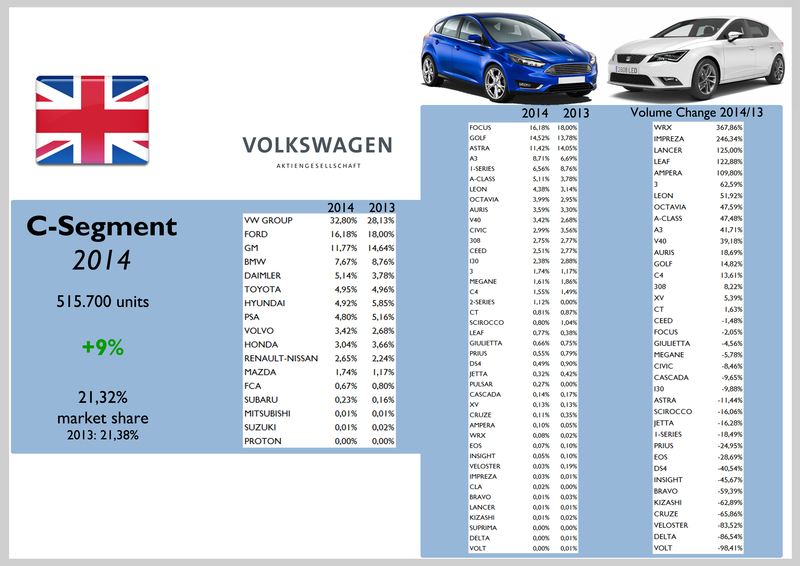 Registrations totalled 2,45 million units, returning to pre-recession levels and allowing to reach the 4th best result in British car industry history (after 2002, 2003 and 2004 records). 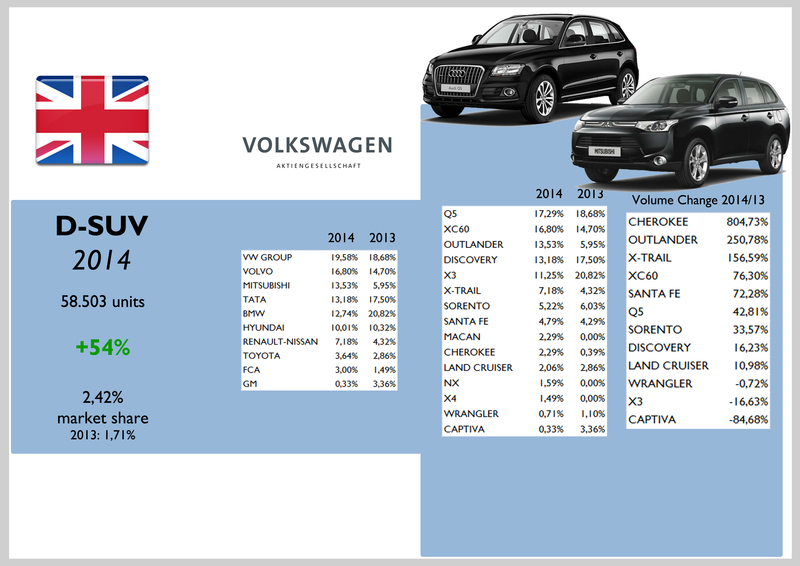 VW Group leads with 21% of share, increasing the gap with its immediate competitors, Ford and GM, which posted lower growth rates than overall market. 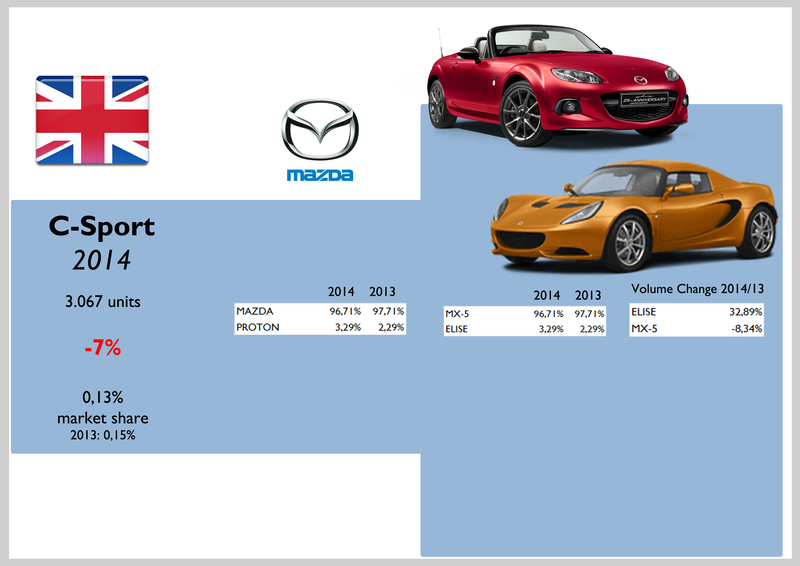 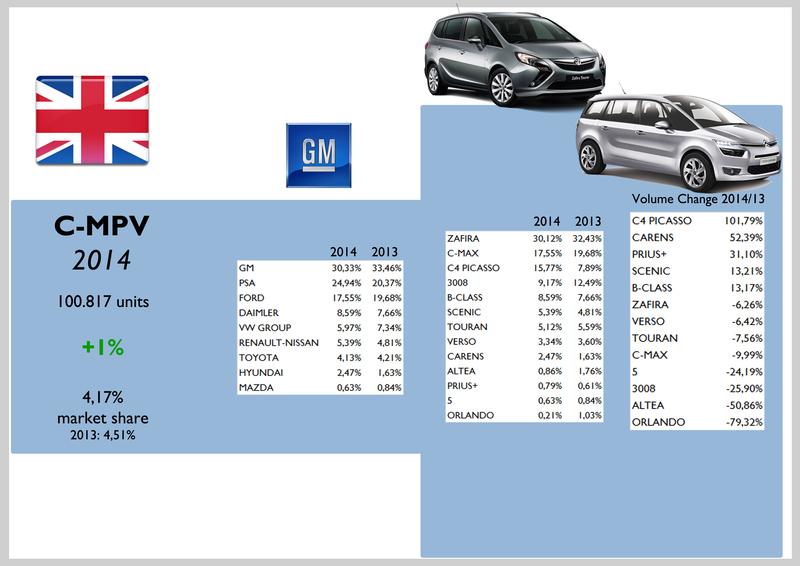 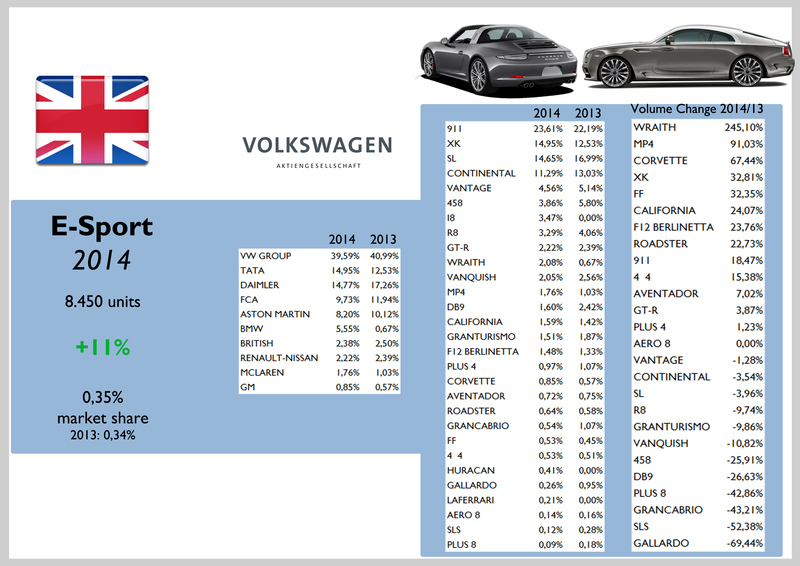 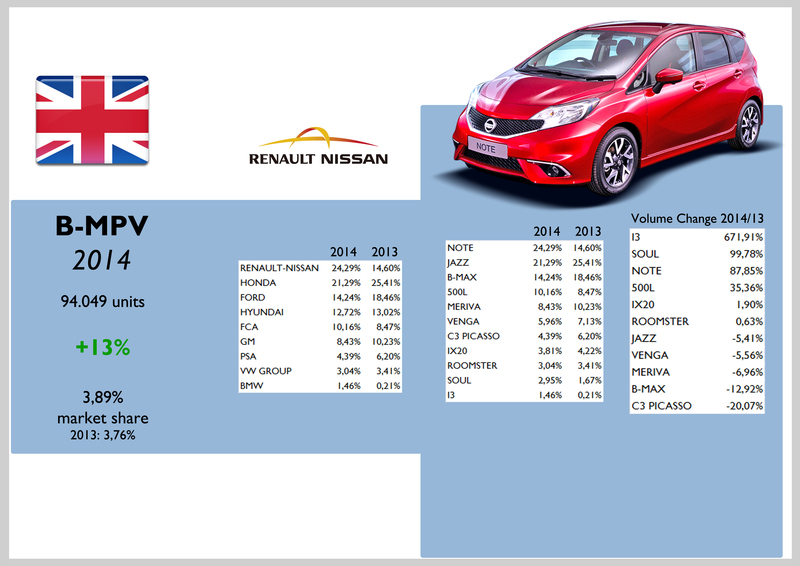 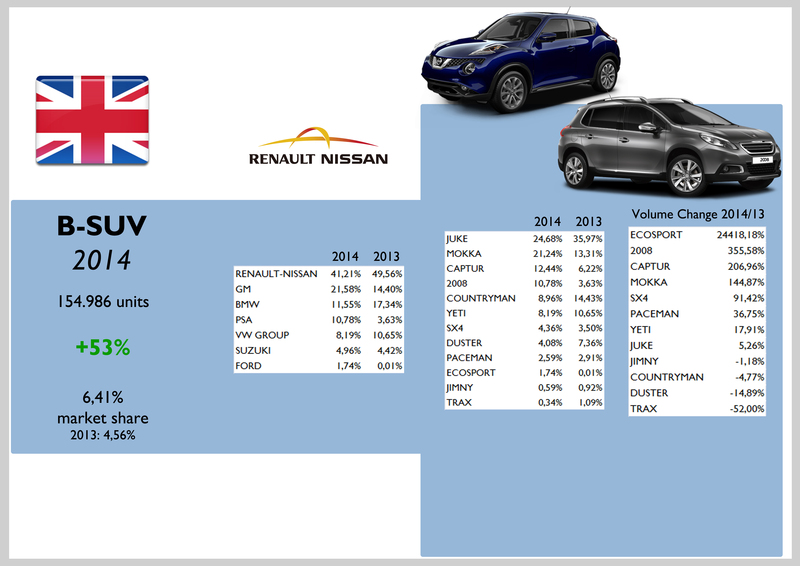 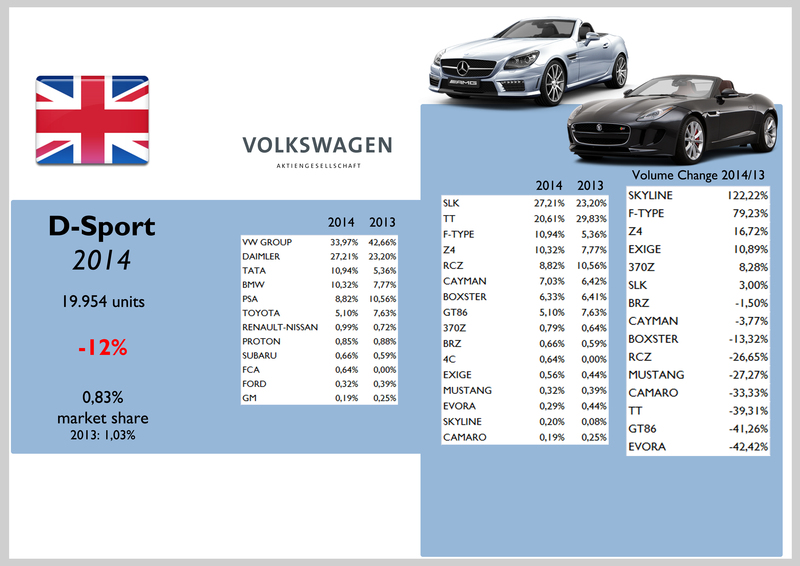 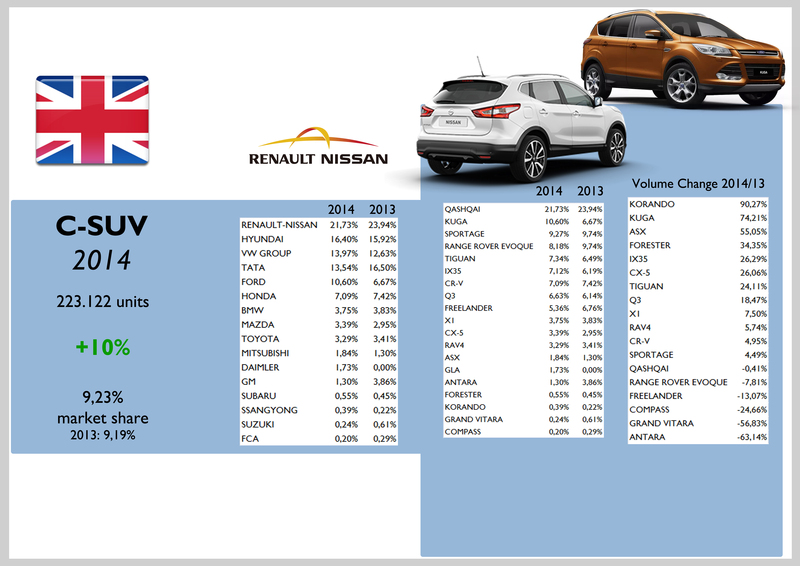 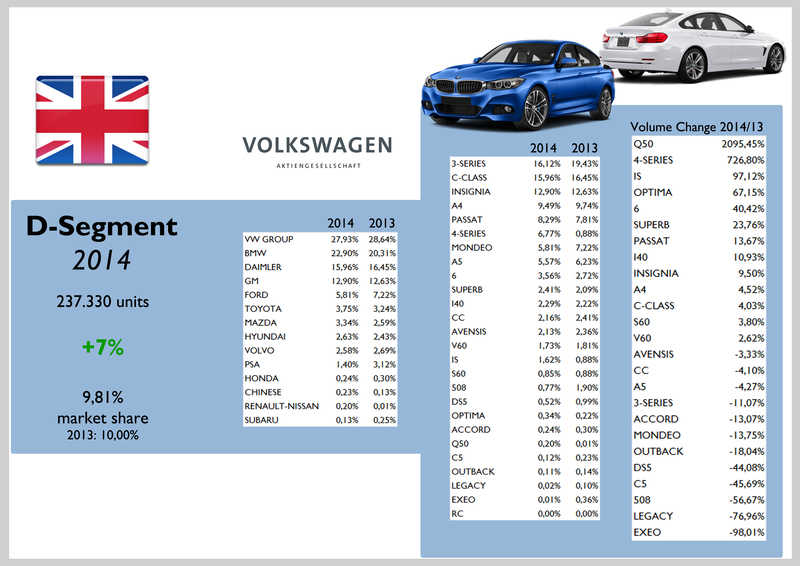 Renault-Nissan was the best performer of the top 10, while FCA had a positive growth of 12% due to moderate growth of Fiat brand, which counted for 84% of the group sales in the UK. 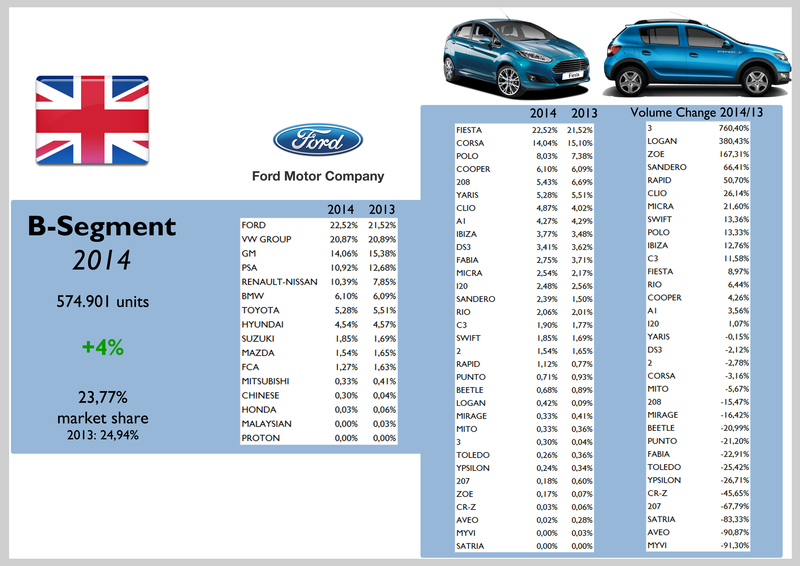 British drivers still prefer the sub-compact and compact cars, but overall’s increase came mostly from the SUVs boom, up 26%. 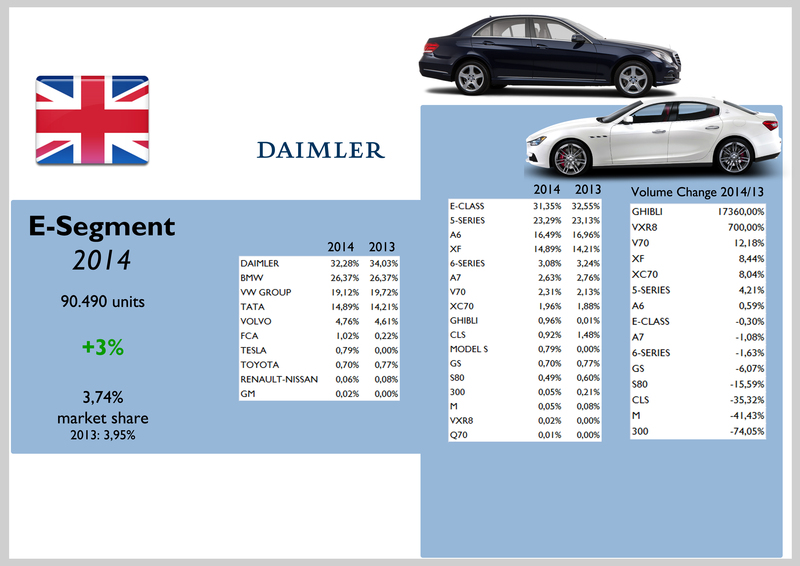 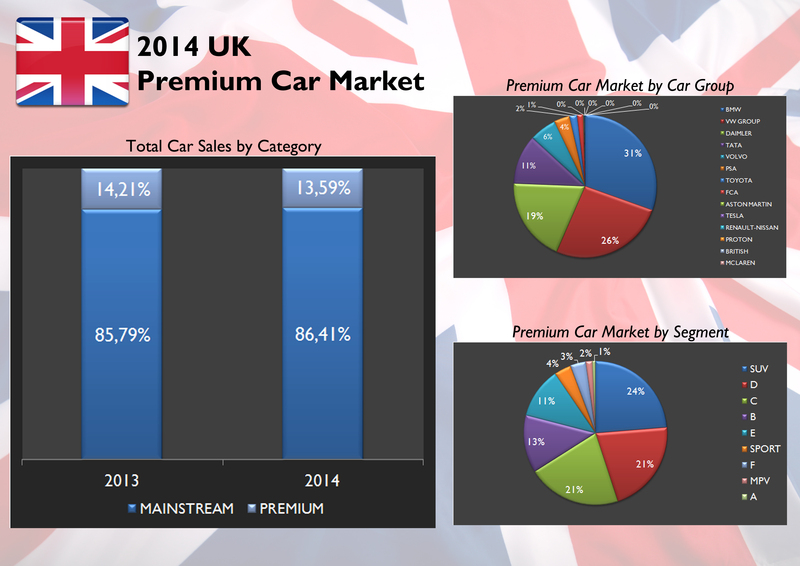 BMW leads in the premium market, which counted for 13,6% of the total. 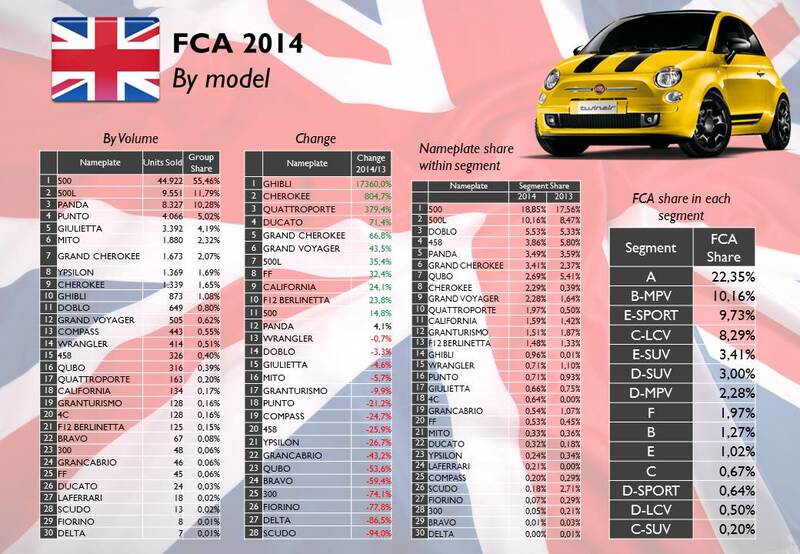 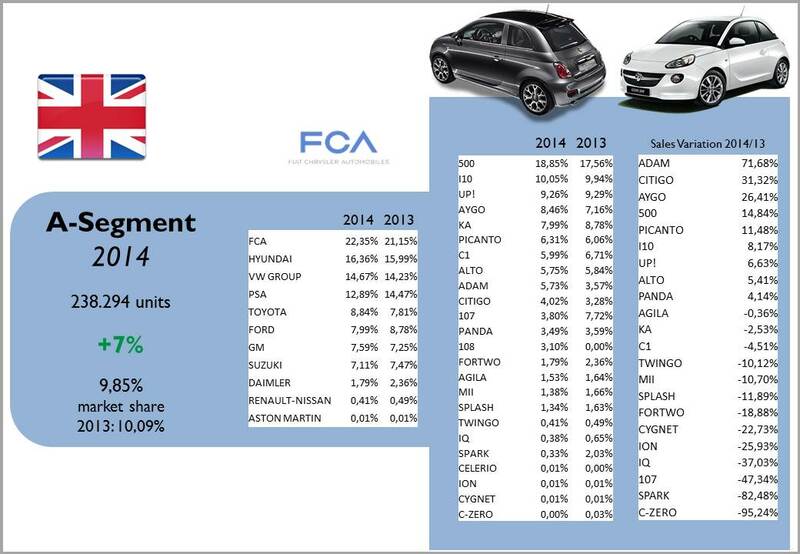 FCA’s market share advanced from 3,27% in 2013 to 3,35% due mostly to the moderated sales growth of the Fiat 500 (the 9th best-selling car in the UK), that counted for 55% of the group sales. 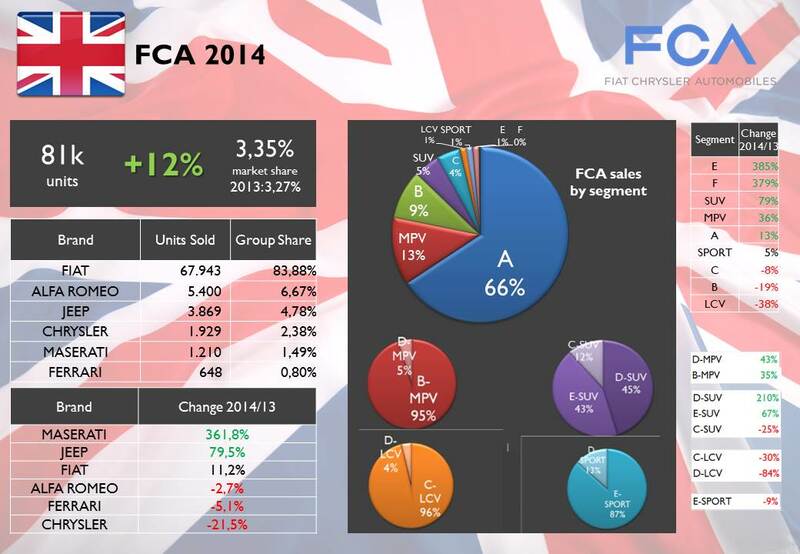 2 out of 3 cars sold by FCA in the UK were a city-car. 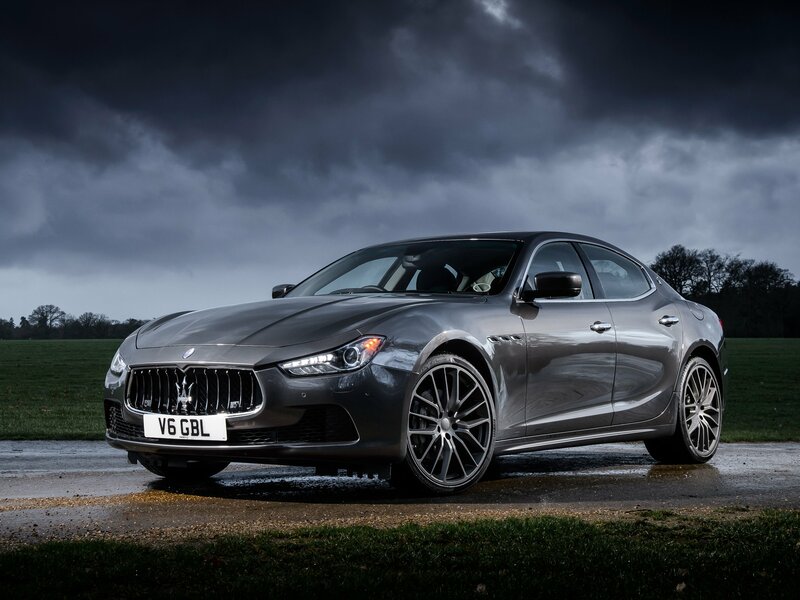 Upper segments such as the E and F posted big growths thanks to the rising demand of the Maserati Ghibli and Quattroporte.